Motorcycle riders enjoy some amazing benefits—from easier parking to the thrill of the open road—but they're also vulnerable to more risks than owners of traditional vehicles. The physical injuries suffered in even the most minor bike accidents can be extreme, requiring extensive, expensive medical treatment. It's Required: Every state requires bikers to carry a minimum amount of liability insurance so they can cover any damage inflicted in an accident they caused. 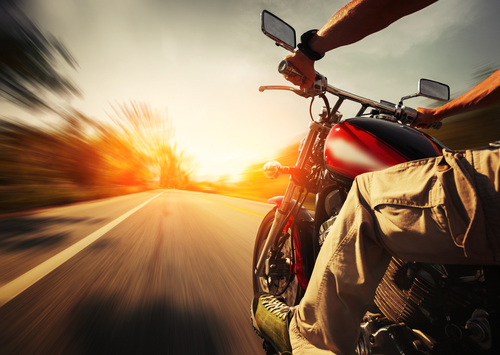 In Louisiana, all motorcyclists must prove their policy includes at least $15,000 for bodily injury or death per person, up to $30,000 per accident. Your policy must also include $25,000 in coverage for property damage. Other Drivers Ignore The Requirement: In addition to the mandatory minimums, you may want to invest in additional coverage to protect yourself against the actions of other, less responsible drivers. Uninsured Motorist coverage will kick in if you have been hit by someone without enough coverage to compensate you. This additional insurance is fairly inexpensive, and can often be added to your existing policy for just a few extra dollars per month. Bike Repairs Are Expensive: If your bike is destroyed in an accident caused by someone else, their insurance will likely cover it. But what about damage to your own property from an accident you caused? Adding collision coverage to your motorcycle insurance policy is the only way to make sure your damages are covered—no matter who was at fault. With 30 years' experience and a broad selection of products from some of the industry's best carriers, Lemoine Insurance Agency LLC has the expertise to ensure you secure the coverage you need. To learn more and request motorcycle insurance quotes today, visit their website or call (337) 463-4070.